People utilize the home and commercial safes for a wide variety of purposes. Whether to store important documents, valuable or guns, all these safes have one common goal, to protect what's inside! But different types of safes serve different purposes. Depending on your specific needs and what you plan on storing be sure you purchase the right safe for you. Here's a quick guide to the most common types of safes. A gun safe is imperative in the home of gun enthusiasts. They are great way to protect children and visitors from accidents and many have locking mechanisms that make it nearly impossible for thieves to steal your firearms in the event of a break in. These safes can fit many different types of guns, ammo and accessories. As you could guess from the name, a jewelry safe is meant to store expensive wearables. However, many people use these types of safes for collections of small items such as coins, stamps or even cash. These safes often look more elegant, like a traditional jewelry box, but are much harder to get into. A fire safe is perfect for storing items that are not necessarily of major value but of relative or sentimental importance, such as wills, house and car titles, insurance paperwork and other items that would be hard to replace in the event of a house fire. The locking mechanisms are relatively simple so items can be retrieved with ease following a fire. This type of safe is what most people think of when they hear the word "safe." A burglary safe is often hidden or bolted to the floor and contains a very difficult locking mechanism to ensure even the more veteran burglars can't break into it. Many people store cash, paintings, family heirlooms and other valuables in these types of safes. They can also be made fireproof for added protection! If you need to buy a safe be sure to get one that meets your needs. 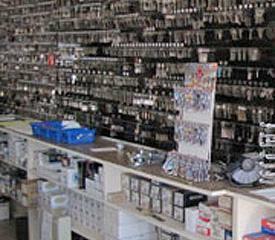 For professional safe sales in Reno or the surrounding communities head to Reno Sparks Lock & Safe. Our team will gladly help you find exactly what you need. For all your needs requiring a locksmith in Reno be sure to give us a call at (775) 525-5712.